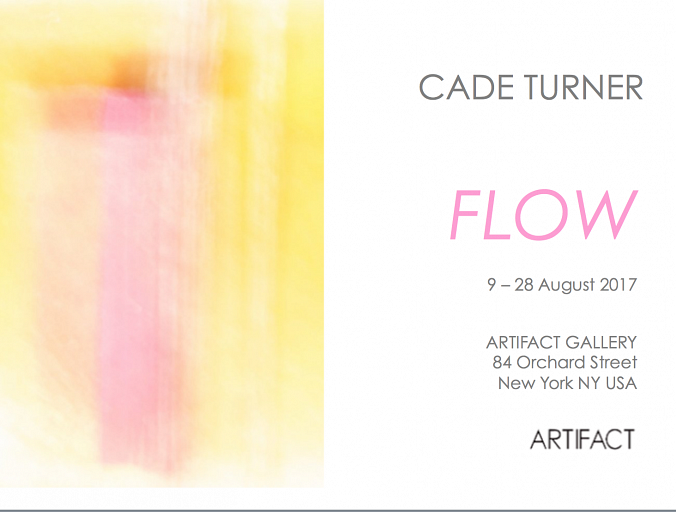 In Cade’s first solo international exhibition, FLOW explores the subliminal, transient and somewhat mysterious beauty and greatness of nature’s liquid paths. Using his lens like a paintbrush and a conduit of light, Cade intuitively connects with and slows down the transient flow of light and colour, setting them free from their living stasis, through space and time to unveil pure flows of light. 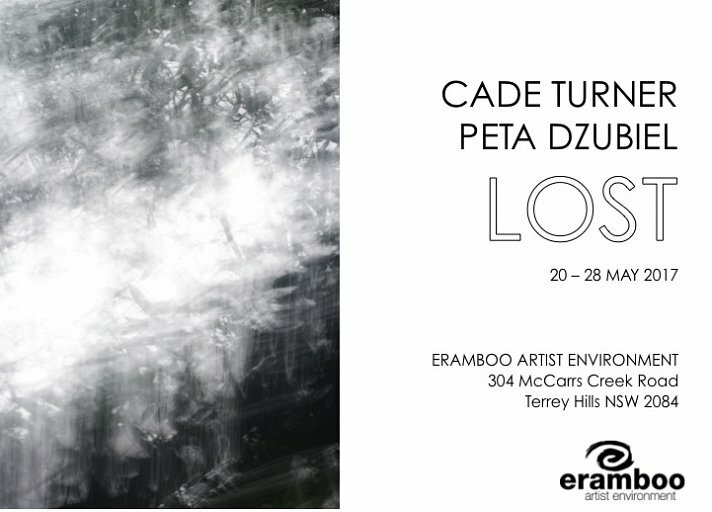 Eramboo Artist Environment is proud to present LOST, an exhibition by Sydney-based artists Cade Turner and Peta Dzubiel. The Australian bush conjures up a deeply felt anxiety in many whom may have, at some point, wandered too far from the track. Beguiled by its beauty and the excitement of exploring the untamed, imagination takes hold and adventure can soon lead to misadventure. Stories of lost children, in early colonial paintings and narratives, such as Picnic at Hanging Rock (1975), have become folklore, holding their place in the Australian psyche. 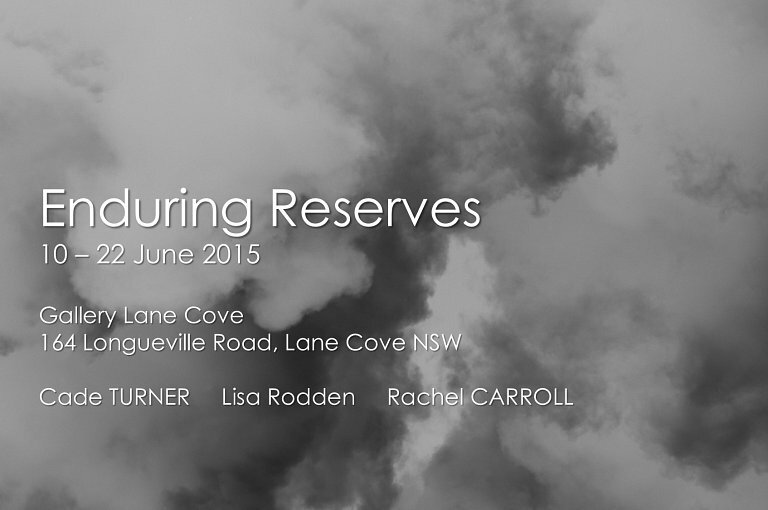 The Ku-ring-gai Chase National Park is the chosen setting for this exhibition which seeks to re-imagine the notion of being lost in the Australian landscape via painting, installation and photography. 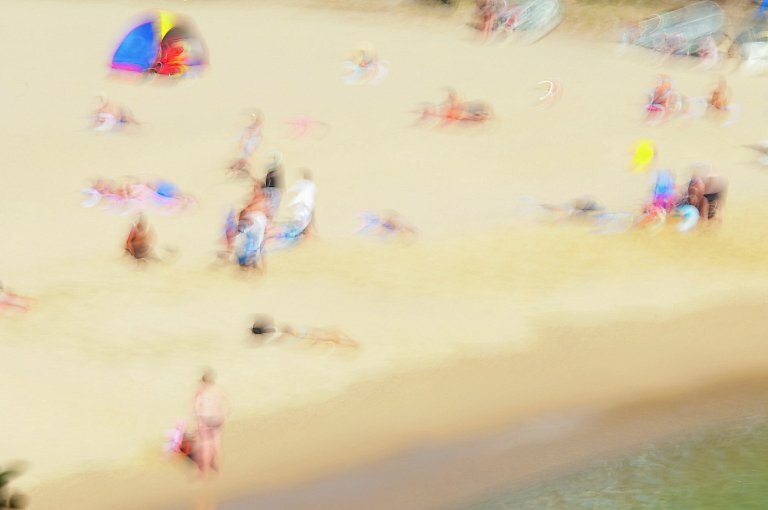 With a focus on contemporary photo media, Manly Art Gallery & Museum presents recent works from pre-eminent and emerging photographic artists from Sydney’s Northern Beaches. Cameron Bloom, James Brickwood, Tim Hixson, Sally Mayman, Trent Mitchell, Cade Turner and Louise Whelan reflect on environment, culture and identity through local, national and international ‘lenses’. Northern Light provides an opportunity to discuss the photographic image as fine art and other current issues surrounding the medium. Curated by Ross Heathcote, part of the 2016 Manly Arts Festival. 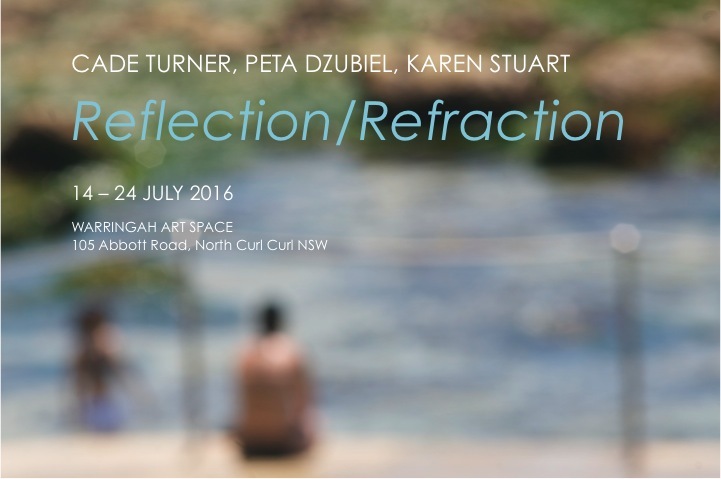 Reflection/Refraction is a curated exhibition by Rachel Carroll, presenting three emerging Northern Beaches artists: Cade Turner (photography), Peta Dzubiel (oil painting) and Karen Stuart (ceramics) and explores the notion of light. Sydney Unseen is a new photographic installation by Turner, commissioned by Manly Art Gallery & Museum on The Great Wall of Manly in the Gallery’s forecourt. This series was specifically developed in response to the Gallery’s major concurrent Summer exhibition, Destination Sydney, showcasing masterpieces of three major artists; Lloyd Rees, Brett Whiteley and Elisabeth Cummings. 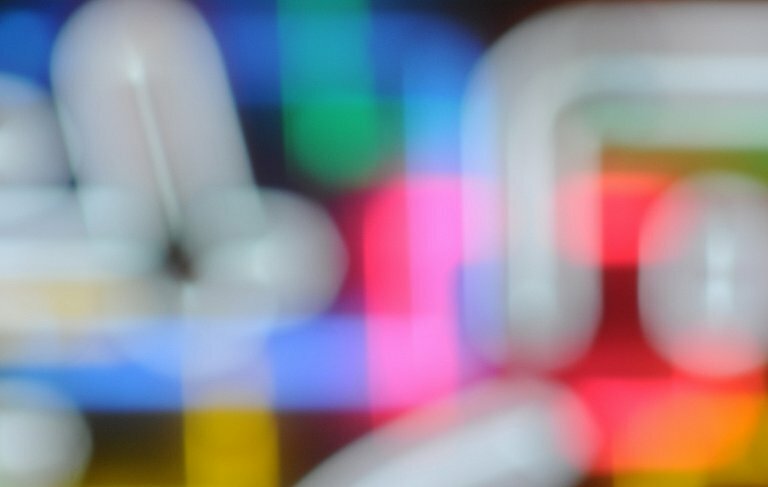 Sydney Unseen is a vibrant series of contemporary, abstract lightscapes, “painted” entirely through the lens, unveiling the romance, mystery and unseen beauty of Sydney through light and colour. Via the camera’s lens, Turner visualizes symphonies of light and colour spawned from a gravitational pull to art history’s Romantic period. The essence of light is gleaned from self-developed, manual and unconventional techniques, enabling Turner to capture unseen impressions of light, its explosive sensitivity and beauty. 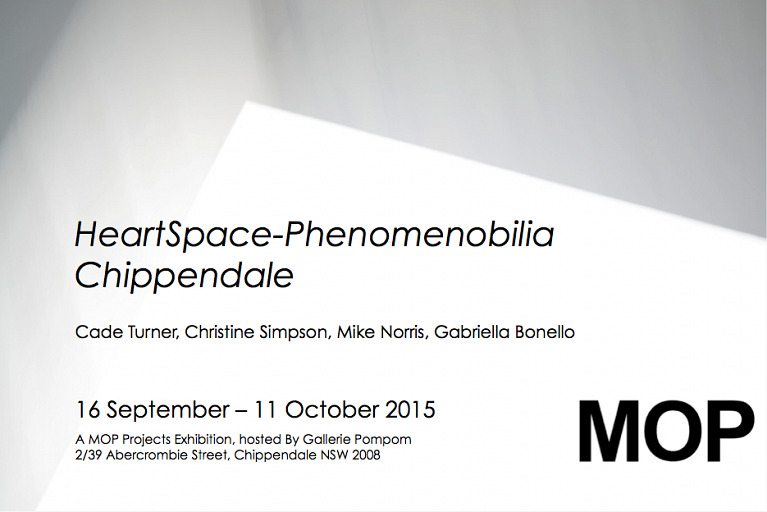 Christine Simpson, Cade Turner, Mike Norris and Gabriella Bonello combine sculpture, installation, photography, sound and performance to develop a new work which explores and plays with the unseen energy of everyday Chippendale. These light fields and sonicscapes intermingle with glass planed and strung structures to create an elusive phenomenal experience within the gallery space. Christine Simpson: Following on from two decades of artmaking, curating, educating, and completion of postgraduate studies at Sydney’s SCA; majoring in Sculpture, Performance and Installation, Simpson has arrived at a practice that has become a facilitation of energy’s processes. 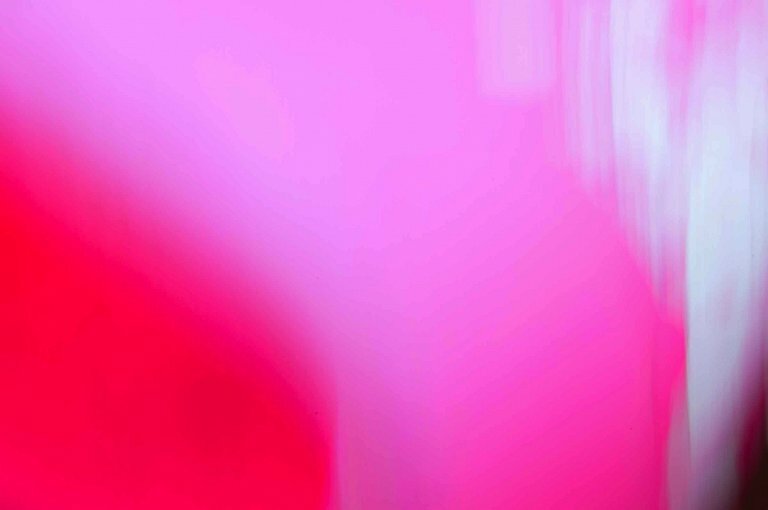 Via waves of light, colour, sound and unseen energy, and the subsequent direction of these elements, Simpson’s artwork manifests as dynamic permeations to impress the sensory and phenomenological experiences of lived existence. 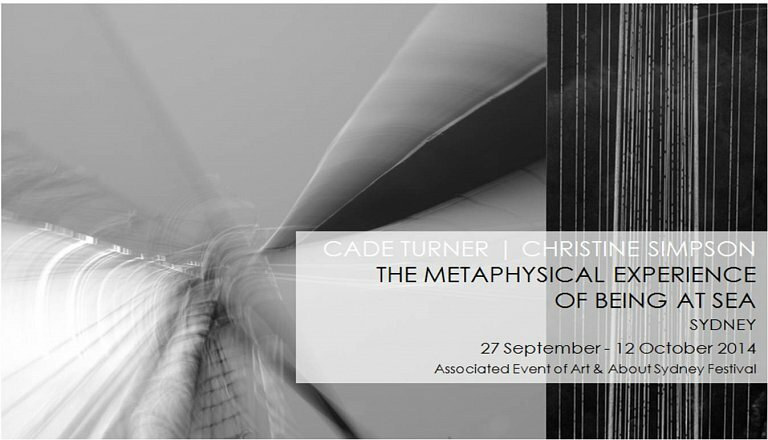 Cade Turner: Via the camera’s lens, Turner visualizes symphonies of light and colour spawned from a gravitational pull to art history’s Romantic period: the essence of light gleaned from self-developed, manual and unconventional techniques. 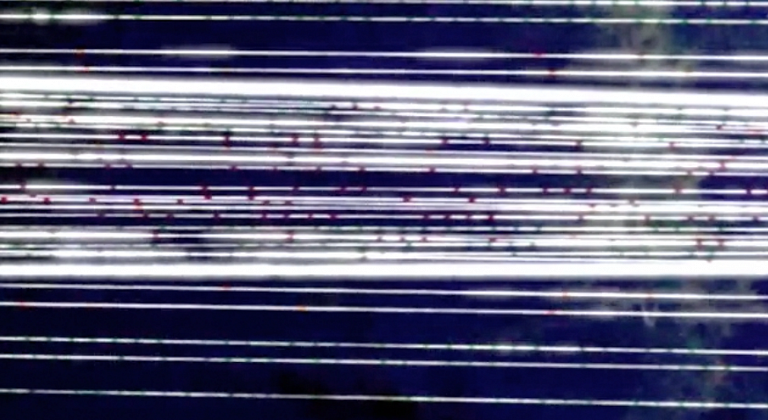 Presently, Turner’s intuitive and perceptual responses to his art-making have entered a new phase: the intermeshing of sound composition and light image making in collaboration to create experimental audio/visual arrangements. Turner graduated with a Bachelor of Media from Sydney’s Macquarie University majoring in Visual Production. 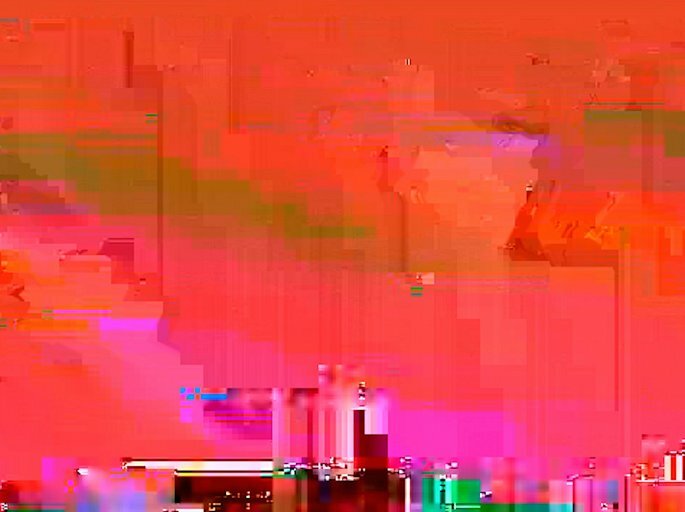 Mike Norris: Norris is an experimental sound artist with exceptionally broad experience in sound creation and perception with a particular focus on sound textures. He has a deep understanding of sound and hearing through his academic work, and applies this in his sound arts practice. Michael moved to Canberra in 2008 to develop speech recognition software for Stelarc’s Thinking Head project, following his position as a Postdoctoral Fellow at the Centre for Theoretical and Computational Neuroscience in Plymouth, UK, where he investigated how sound textures are represented in the human brain. Most Recent Work: “Where Do We Stand?” – interactive sound installation research & development in collaboration with Blaide Lallemand, funded by ArtsACT, installed at Art Not Apart 2014, New Acton ACT and CraftACT Craft & Design Centre Jul-Aug 2014. Gabriella Bonello: Wearing a diverse array of hats, Bonello is at once a songwriter and performer, self taught with training in Jazz, Vocals & Performance at the Sydney Conservatorium of Music; a qualified Mind Body Medicine Practitioner and Kinesiologist, graduating from The College of Complementary Medicine, Sydney; and a seeker of ancient wisdom knowledge. Bonello contends this ancient wisdom presents significant parallels to the neuroscience of mind/ body interconnection and to personal and societal health. 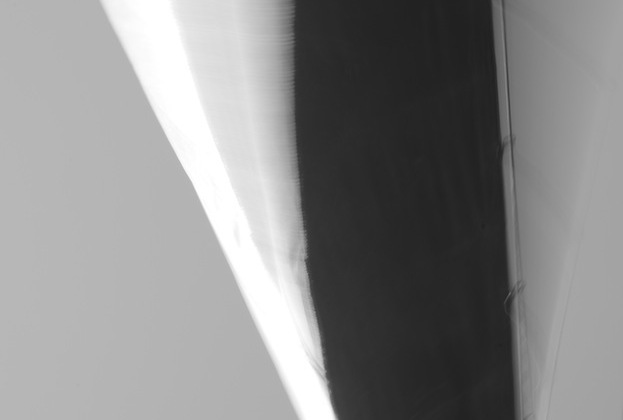 At present Gabriella is experimenting with the abstraction of her vocal range and the ancient acknowledgement of energy to collaborate with visual artists to produce new soundscapes and performance art that honours the earth and humanity’s interconnection to it. The words of Rachel Carson, founder of the contemporary environmental movement and advocate of nature and environmental ethics, underpins the vision for this exhibition. This exhibition explores the flux and flow of nature through the diversity of nature’s complex movements in all its manifestations. These movements may be seasonal, daily or global. Through the forms of paint, paper and photography, Turner, Rodden and Carroll reveal the fluctuating cycles in nature’s constant changing seasons. For Turner, Australia’s natural environment is a place of immersion, presence and connection with the soul; an escape from our busy commercial world and a return to pure atmosphere and awe. Guided by his emotional response to the environment, Turner uses his lens as his paintbrush to free nature’s light and colour caught in a living stasis, transforming them to unveil exquisite, untouched, visual symphonies that evoke a full spectrum of emotional connections with our natural world. This installation is a collaborative effort by Sydney-based artists Christine Simpson and Cade Turner. Gleaned from Simpson’s sonic sculpture Long Day’s Journey, a construction that behaves somewhat like an Aeolian harp, manifests low frequency sounds of the air’s movements via 32 dacron threads tied under tension through a hollow steel drum. 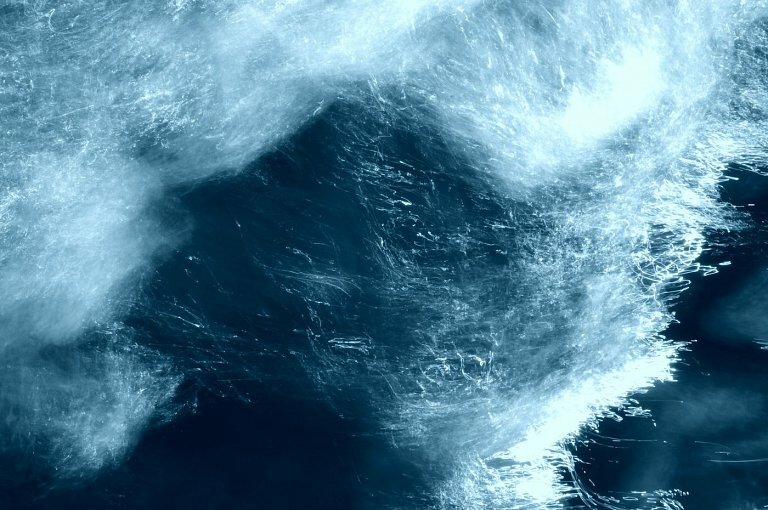 Still imagery and sound recordings extracted from this artwork have been distilled by Cade Turner to create the fluid composition: Metaphysical to be projected into the space at Salamanca Arts Centre. This installation creates a sensational experience that is at once quietly confronting and comforting. Metaphysical potentially transports the experiencer into another reality: the energy field of infinite space, energy to which we, in human form, are intrinsically entwined. Sydney-based contemporary artists Cade Turner and Christine Simpson unite to present a unique audiovisual installation aboard the historic tall ship, the Yukon, in an Associated Event with the City of Sydney’s Art & About Sydney Festival. Discover a peripatetic gallery aboard interconnecting art, science and adventure and experience the tall ship transformed with sonic and visual installations depicting the artists’ metaphysical experiences of being at sea. Artworks from Cade Turners latest series, Vela, forms part of Australia’s prestigious Head On Photo Festival. 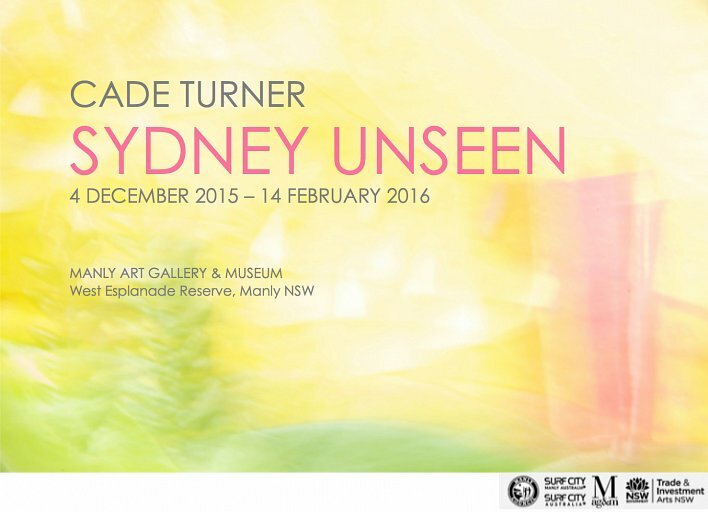 In this exhibition, Turner explores light captured aboard the Yukon, an 80-year old Danish Ketch Tall Ship in Sydney. Recently inspired by the great Impressionist, Joseph Mallord William (JMW) Turner, Turner set sail, exploring the mystery cast by brilliant light aboard this great vessel, unveiling her spirit and untold stories from her wild past at sea. One of the core events of Sydney’s Head On Photo Festival, AddOn is a photographic exhibition curated by Festival Director Moshe Rosenzveig and Charles McKean. The exhibition showcases a diverse and exciting range of square images, taken by more than 100 photographers spanning professionals, artists, celebrities and politicians. Shown without title or photographer credits, viewers interpret their images for what they are and bring their own meanings to them. In this exhibition, Turner exhibits the first work in his latest developing abstract series, Transition No.1 (2013). Transition is constant, is life. As one state begins to deconstruct, new elements enter, both purposefully and spontaneously. Old elements part, new dynamics result, giving rise to new states, perspectives and possibilities. 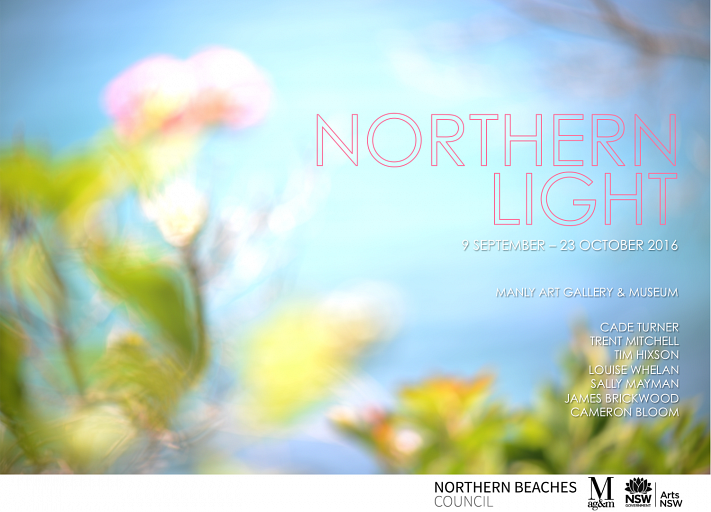 Northern Beaches contemporary landscape artists Cade Turner (photography) and Mark Rhodes (painting) unite to present ILLUMINATION, a joint exhibition showcasing their latest manipulations of light in breathtaking scenes that capture moments in time. Although working in very different mediums, Turner and Rhodes share a mutual inspiration from Impressionism and approach to rendering natural light. Their works are never static, always containing a life and flow. Dynamic scenes of nature that are powerful, dramatic, yet also gentle and revealing, ILLUMINATION is a visual and emotive experience. An exhibition of new works by fifty emerging and established artists from Sydney’s Northern Beaches working across a range of art disciplines, who have responded to particular works of the Manly Regional Art Gallery’s collection archives. The new works will be displayed alongside the collection works. Photographer, Cade Turner and painter, Matthew Weatherstone unite to bring two solo exhibitions that respond to their passionate connection with natural light. Turner’s Symphony of Light is an exciting solo exhibition, inspired by the great Joseph Mallord William (JMW) Turner, showcasing Cade’s latest, heart-felt, evanescent landscapes created completely in-camera, where elements of natural light and colour are freed from reality, delicately unveiling new visual symphonies, rich with mystery, beauty and romantic grandeur. Weatherstone’s intimate expanse is a contemplation of Nature as both an allegory and object of inquiry, revealed and obscured by light, distance and darkness, ever the fount of mystery and wonder. Add On Exhibition is one of the core events of the 2011 Head On Photo Festival. 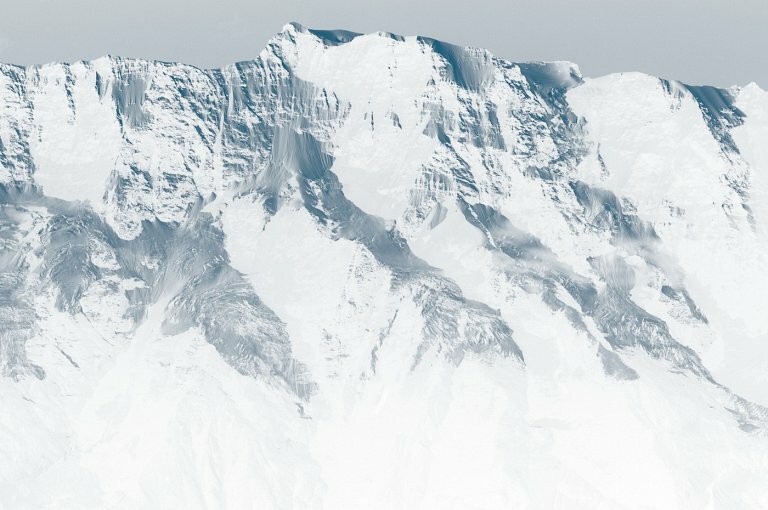 A selected collection of works by invited photographers, including Cade Turner, will be exhibited anonymously in this group exhibition. One of the core events of the Head On Photo Festival, Add On showcases a diverse and exciting range of square images, taken by more than 100 photographers spanning professionals, artists, enthusiasts, celebrities and politicians. Shown without title or photographer credits, viewers interpret their images for what they are and bring their own meanings to them. 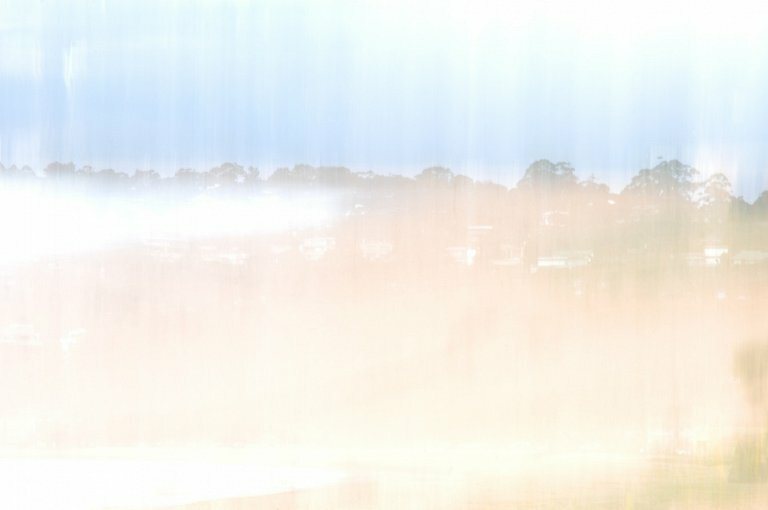 Artworks from Cade Turner’s latest series, North Head forms part of Sydney’s presitigious Head On Photo Festival. 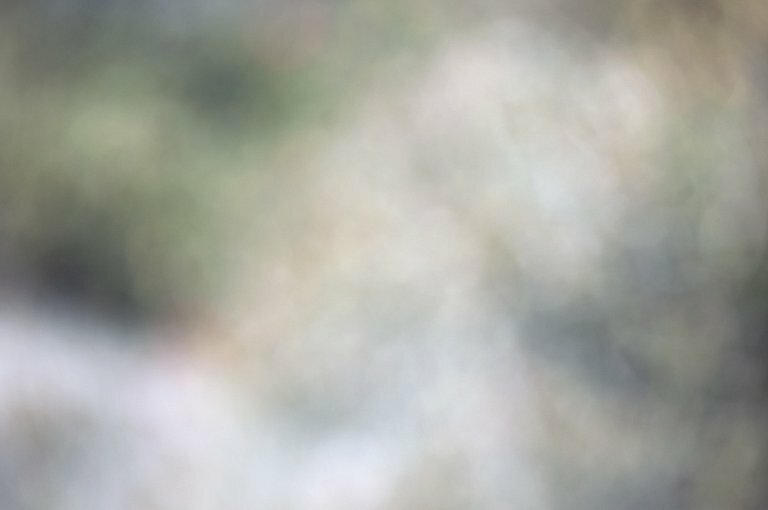 North Head is a series of large, ethereal impressions of North Head’s natural landscape, where elements of light and colour are freed from reality, delicately unveiling new visual symphonies, rich with mystery, mood and romantic grandeur. See Cade Turner’s new Impressionist landscape series, Day At Palm Beach alongside artists from Sydney’s Art Tree Group. 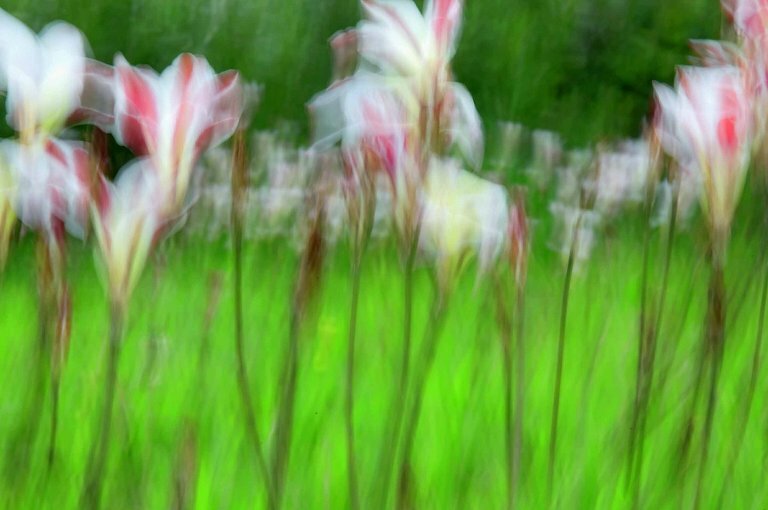 Artworks include photography, painting, sculpture and mixed media. 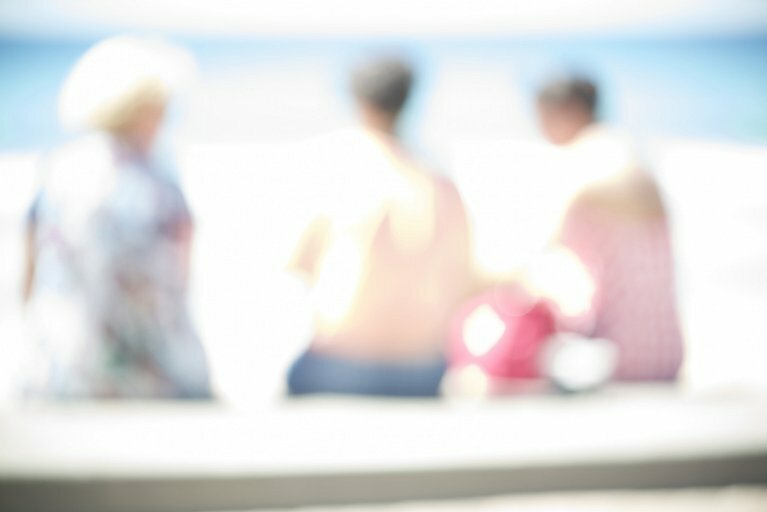 The Add On Exhibition is one of the core events of Sydney’s 2012 HeadOn Photo Festival. A selected collection of works by invited art photographers (including Cade Turner) will be exhibited anonymously in this group exhibition. 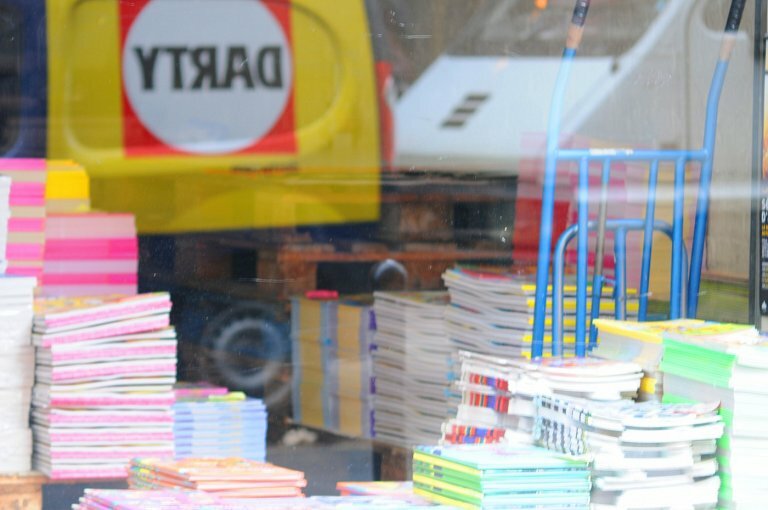 Artworks are not for sale and each work will be hung without any artist’s identification. 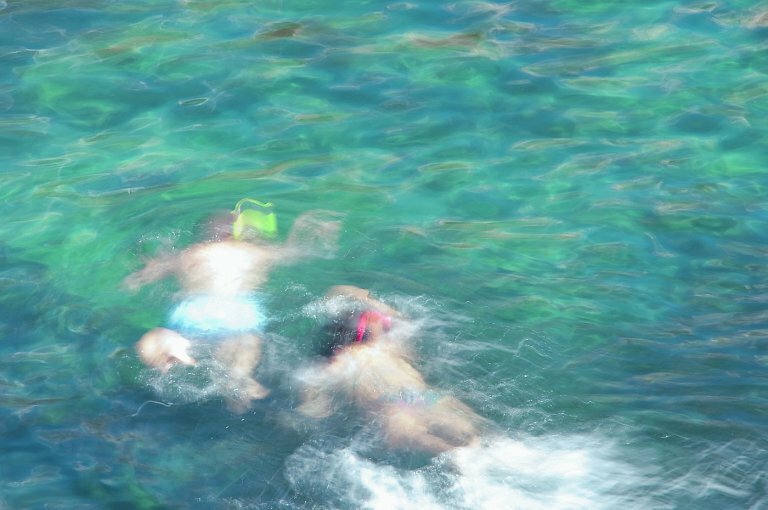 At the end of the exhibition each artist will receive another artist’s photograph – a kind-of adult lucky dip. AddOn is curated by Charles McKean. Vivid Arts Network of New York in collaboration with ARTTOUR International Magazine and the Comune di Ferrara is pleased to announce Earth Vortices at the Castello Estense, in Ferrara, Italy, as part of the Arts for a better world project in 2012. The exhibition features a select group of international artists from different streams of expression: painting, sculpture, installation, photography, video and virtual art. A Retrospective is an International Art Exhibition, organized by Vivid Arts Network of NYC in collaboration with ARTTOUR International Magazine, Auditorium al Duomo, Foundation Romualdo del Bianco and Hotel Laurus in Florence. ARTOUR with its MUSeo Temporaneo (Temporary MUSeum of Contemporary Art) is a series of exhibitions across Florence , highlighting art venues and spaces of a specific area and introducing talented international artists with rich personality. Artists include Maggie Magge (USA), Cade Turner (Australia), Frans Frengen (Belgium), Jim Pescott (Canada), Juan Lopez (EL Salvador), Martha Gabriel (Brazil), Susan Obermeyer Strauss (USA). 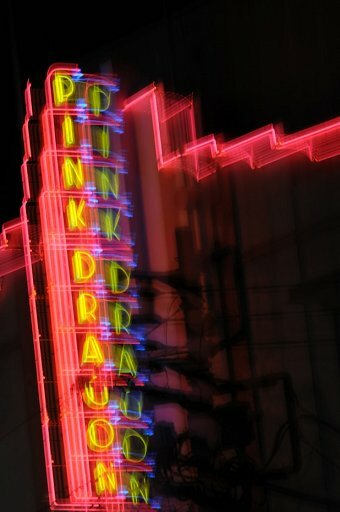 Creativity, variety and a powerful sense of artistic expression abound in Altered States of Reality: an Exhibition of Analog and Digital Fine Art Photography. Each contemporary photographer in this exhibit brings their unique perspective to their work to shed new and compelling light on both the physical and the mental worlds in which we live. The Artists In Residence Exhibition forms part of Manly’s prestigious Manly Arts Festival 2011. The exhibition will be held over the weekend at Manly’s North Head Sanctuary, in conjunction with the Manly Environment Centre’s International Conference of Eco Ideas. 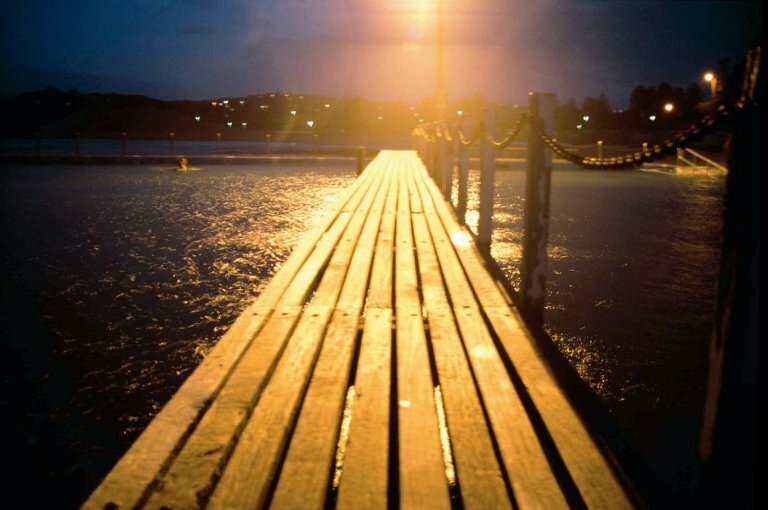 See Cade Turner’s latest environmental works of the Manly Coastal Region.  Manly Regional Art Museum & Gallery and Manly Council are pleased to present Frameworks, an outdoor exhibition in Manly featuring the work of eight artists from Sydney’s Northern Beaches. The featured artists are Rachel Carroll, Panchali Sheth, Vanessa Chaperlin, Cheralyn Darcey, Leonel Sanchez Sanchez, Cade Turner, Jenni Barrand and Ceasius Kakius. 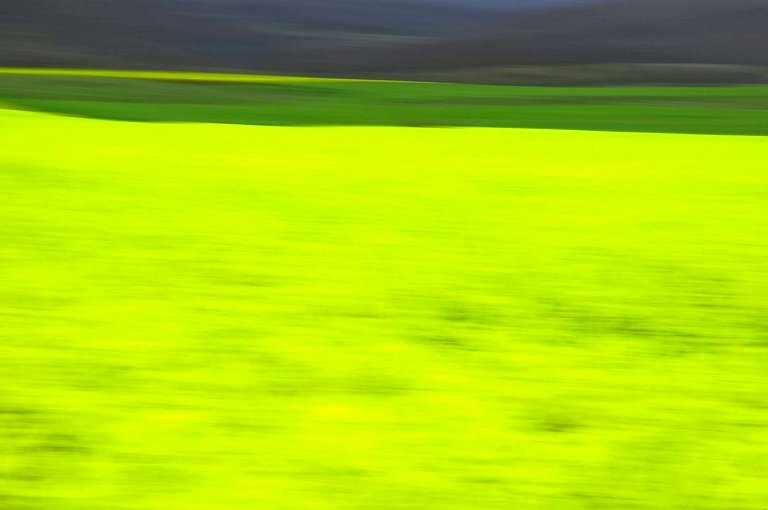 Painter’s Gallery is proud to present Light + Colour + Movement, an exciting solo exhibition showcasing a series of unique Impressionist and abstract photographic works by emerging Sydney photographer, Cade Turner. 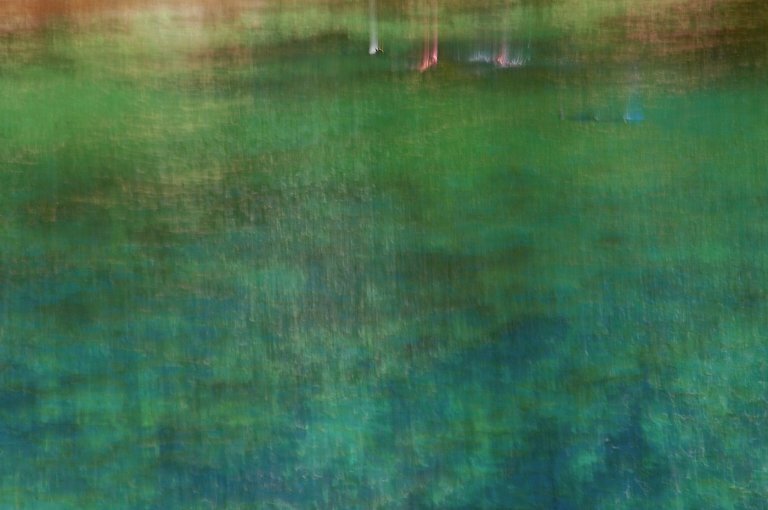 Cade explores the mystery contained within the raw elements of a scene – it’s light, colour and movement, using the camera as an ‘Impressionist’s paintbrush’ to paint his works with light. Reflection features emerging Australian artists Rachel Carroll, Cade Turner, Matthew Weatherstone, Meredith Woolnough and Jesse Rausseman who unite to exhibit a range of interpretations and connections with the natural Australian environment. From large scale painting to photography, sculpture to textile works, this exhibition is set to re-ignite your own connection to Australia’s natural world, from our oceans to the bush, and the need to preserve it for future generations. Each Artist has donated an artwork to a silent auction to raise money for the Nature Conservation Council of NSW (www.nccnsw.org.au). Light + Colour + Movement is Cade Turner’s first solo exhibition and forms part of Sydney’s Head On Photo Festival 2010. This exhibition showcases his series of Impressionist and abstract works produced throughout 2009. Immerse features Australian artists Rachel Carroll, Cade Turner, Matthew Weatherstone and Jarrah Johnson who unite to create an exhibition experience that will immerse you in the beauty of the natural Australian environment, through large scale painting and photography, whilst also raising awareness of the fragility of the environment and the need to preserve it for future generations. Each artist has chosen a specific location within Australia. In this exhibition, Cade Turner shows his latest water series from Mount Field in Tasmania. Mary Place Gallery is proud to announce this group exhibition. Two floors of artworks produced by 18 Sydney-based artists.